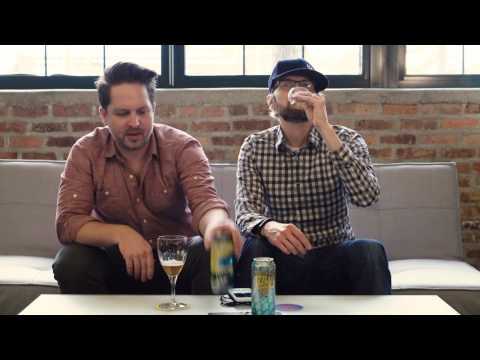 Brad Chmielewski and Ken Hunnemeder are hitting the canned beers again in episode 143. This time the two of them reach for a couple cans from Ska Brewing. The first one is the Mexican Logger, a 4.2 % ABV American Pale Lager. This is one of the newest beers from Ska to go out in the can and is a great addition to their line up. Brad and Ken follow up the Mexican Logger with the ESB Special Ale. This 5.7 % ABV Extra Special Bitter is a pretty common one to find. If your local bar is out of the Modus Hoperandi there is a good chance you’ll find some ESB cans ready to drink. Ska Brewing cans are great to keep on hand at home. If you pick up the variety packs there is a good chance you’ll have something on hand any beer drinker should enjoy. Having issues watching this video? Try the Quicktime (348.3MB). Brad Chmielewski and Ken Hunnemeder are out on the the back deck cracking open a couple of canned beers in episode 139 of the Hop Cast. The first beer they open is one they haven’t seen in cans before, the Avery IPA. 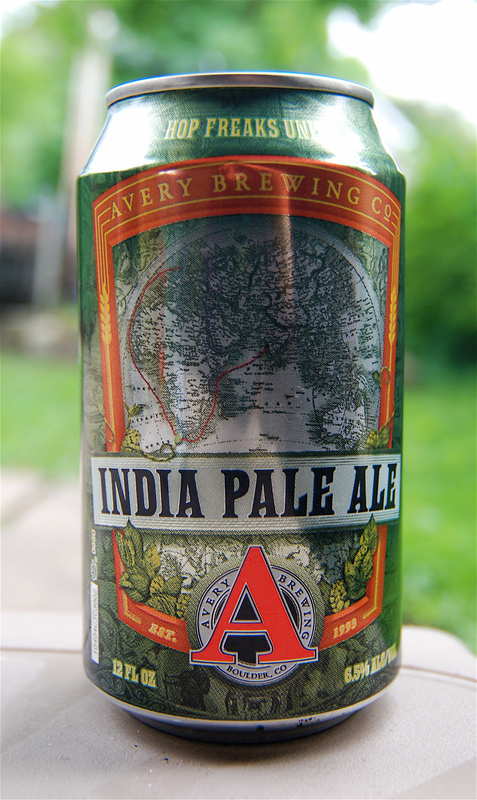 This 6.5% ABV India Pale Ale is usually found in the bottle or on tap but it’s nice to see Avery making the move to more canned beers. The can is just a great vehicle for beers, especially when you’re out in the back yard. After the Avery IPA, Brad and Ken move onto the Hop Slayer from Onion Pub. These guy are located out in the suburbs of Chicago and are just starting to get more or their beers to market. 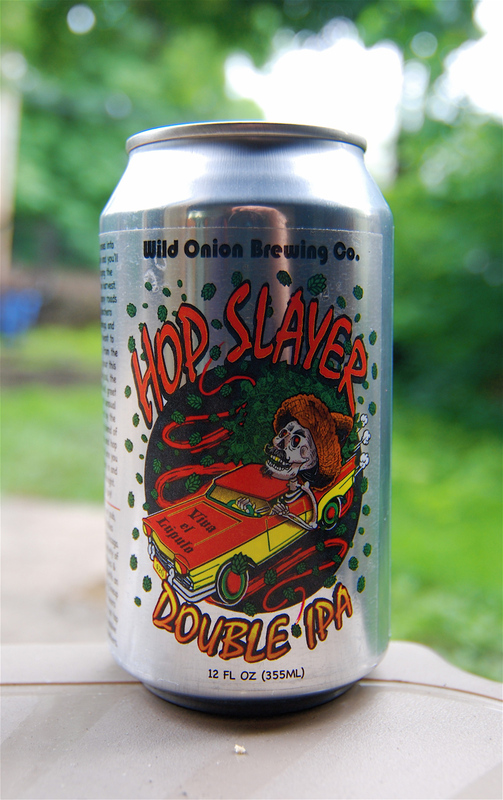 The Hop Slayer is a 8..0% ABV Double IPA and is very easy-going. It would be a nice beer for a hot summer day on the beach. Thanks for watching the Hop Cast. Having issues watching this video? Try the Quicktime (273.5MB). 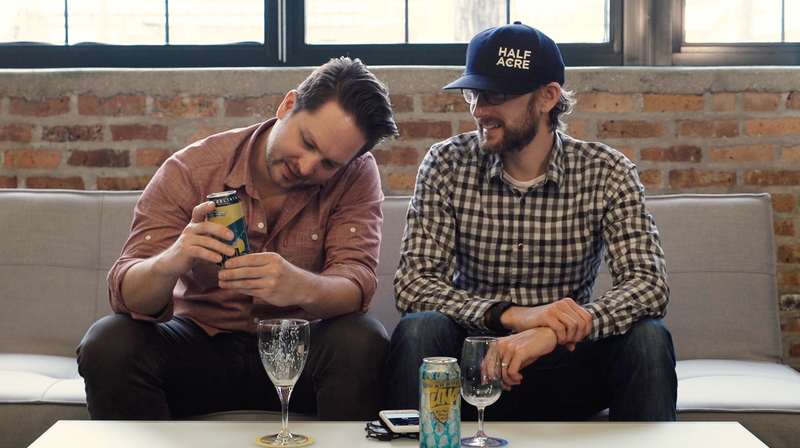 It seems like craft beer in cans are one of those hot topics right now. I’m all for the craft beer can revolution and am happy to support it any way I can. Besides drinking local from the draught at my favorite breweries, can beer is one of my favorite craft beer vessels. It keeps beer fresher, they cool down quicker, are virtually unbreakable, can be recycled, and they are easier to travel with since they are much lighter. But if you’re trying to find a way that your beer drinking can be more environmentally friendly, cans may not the best option. 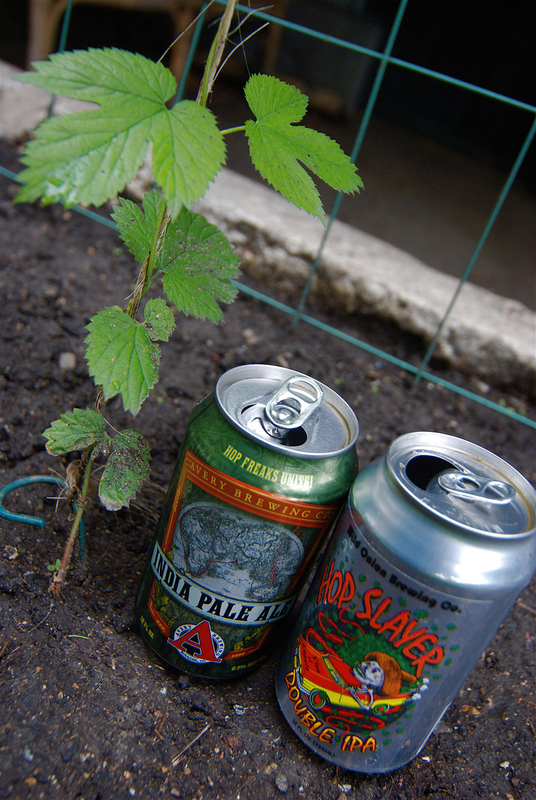 Even through cans are nearly 50 percent lighter to ship than bottles which reduces their carbon footprint, the environmental impact of can beers comes from the aluminum. Now, aluminum itself is not the problem. Aluminum is the third most common element in the world. There’s no danger of running out of aluminum anytime soon. The problem is in how the aluminum is made and mined. To make aluminum usable it takes a great deal of energy. Using energy means using oil, and oil is a resource that is running out. This process virtually makes using cans kind of a wash when compared to the heavier bottles. I’m not saying cans are bad and we should only be using bottles. I just wanted to point out that the carbon footprint of making and shipping a can is pretty equal to that of a glass bottle. Where I think the can wins is in how we use it, especially when we are done with it. For years we have been conditioned to recycle soda cans and I don’t think people have a second thought about doing it with a can of beer. Where personally I think most people are more likely to toss a glass bottle in the trash. Aluminum can be infinitely recyclable, and recycled cans can be back on the shelf encasing a new product within a few months. You have places like in Hawaii, where at Maui Brewing Co. using cans makes a lot of sense for the environment & culture. They are trying to keep 120 miles of coastline, 30 miles of beaches, and other public areas free of broken glass. The further your beer has to travel, the greater the impact it has. The most effective way of reducing the impacts is by drinking local draught beer. Not only are you keeping your eco-impact low but this supports your local economy. You are also letting your local breweries know that you care about what they are doing and are thankful they are there. Walk, bike, or run to your local brewery and feel good you lowered your carbon footprint and supported a local business.